Did you know that training with a Kettlebell for 10 mins a day will burn around 500 calories! What is a Kettlebell I hear you ask? Well it is basically a cannonball with a handle and you swing it, pump it, pass it from hand to hand, they are designed to be flung around. The Kettlebell allows for more free-flowing movement than a dumbbell which are lifted carefully and slowly. Many of the moves mimic tasks we perform in our daily lives, from swinging grocery bags to lifting babies from the floor to pulling ourselves up after a fall. Performing these moves with the Kettlebells works all the muscle groups especially the core, without stressing the joints, providing both cardio and strength training. But best of all Kettlebells add variety to your workout and are great fun! Celebrities love them and it’s not just Sylvester Stallone and Matthew McConaughey, but the likes of Penelope Cruz, Jennifer Aniston and Geri Halliwell. Top football clubs Chelsea and Liverpool factor them into their training and physiotherapists use them regularly in rehabilitation. You don’t have to be super strong to train with Kettlebells. They come in different sizes and weights, starting at 4kg for the ladies and going right up to 48kg for the men. 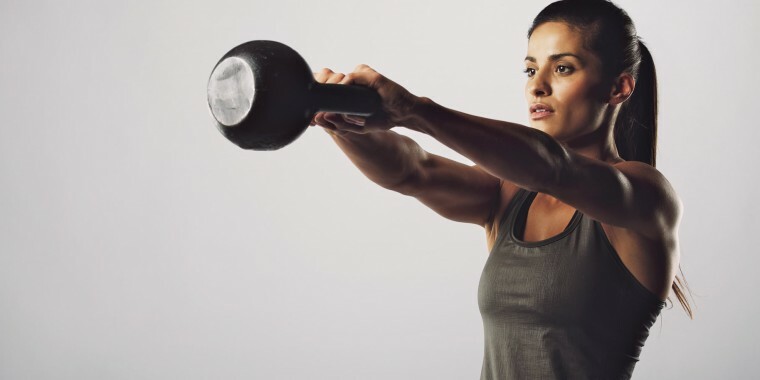 It’s a great workout and it is estimated that an hour of Kettlebells could shed a mammoth 1,500 calories (compared with 300-400 for normal weightlifting or an aerobics class). So if you want that body to die for, call Body Torque today on 07958 442 382 to get started!